- User experience has become the center of technology development. - CogniFit has adapted its new products for mobile devices to further enhance user experience. - CogniFit apps have been segmented by product and are oriented to specific user needs. New York, NY, November 29, 2018	(Newswire.com) - ​Technology is at a constant rise, growing exponentially and adapting to daily life. Businesses have adapted like never before to meet technology changes and remain competitive. User experience has been established as the main feature for companies to distinguish among themselves in the digital world. New technologies, such as AI and “internet of things”, have risen the stakes to what companies present to their users. The main goal nowadays is for companies to meet user expectations while still remain productive. CogniFit, a world leader in neuropsychological testing, brain training, and cognitive stimulation, has given a great importance to this change in technology and has launched several products this year to increase user experience and meet user expectations. It noticed that more users were interested in additional tests other than the star product, the General Cognitive Assessment, which is a great tool to assess 23 different cognitive skills. Users have been searching for a more specific type of tests and training programs for different disorders. This was evidence that user expectations had risen and it helped CogniFit psychologists develop specific assessments for different neuropsychological disorders to aid users in their specific needs. To meet user demands CogniFit launched the Fibromyalgia, Depression, Dyslexia, Dyscalculia, ADHD, Parkinson’s and Insomnia Cognitive Assessments for the website. These tests use clinical questions and validated tasks to quickly and accurately detect the presence of symptoms and altered cognitive processes in each of the conditions mentioned. It also helps professionals in the diagnosis process and to establish priorities during the intervention. These tests have brought computer-usage closer to mental health. However, CogniFit decided to take user experience a step further, and in order to make usability accessible anywhere, it also launched these specific tests and training programs for mobile. 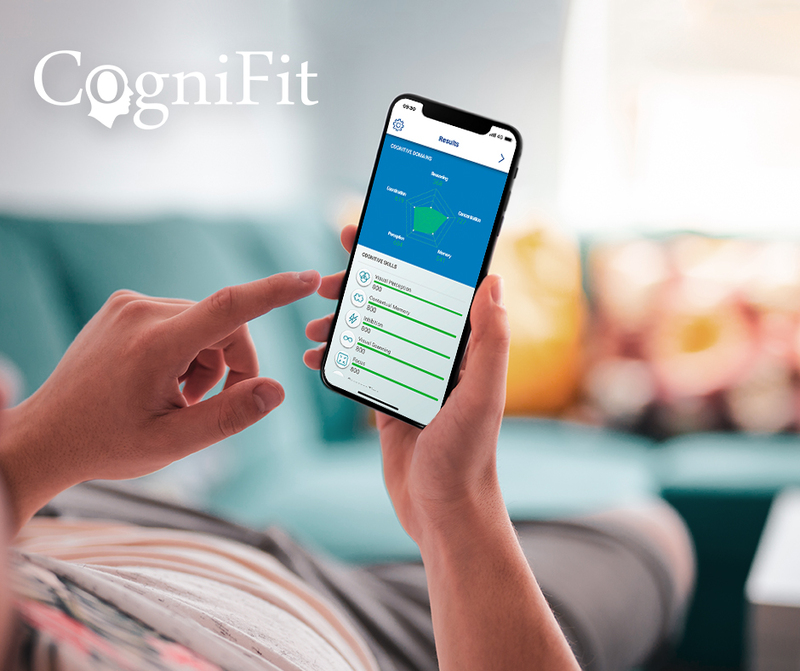 In order to meet user needs, CogniFit has developed six iOS apps, a general cognitive app and five other apps for specific neuropsychological disorders (Fibromyalgia, Depression, Dyslexia, Dyscalculia, and ADHD). These apps allow users to assess the cognitive processes involved in each disorder and train specifically for those processes affected. CogniFit has made cognitive assessments and training programs user-friendly by incorporating specific apps for specific needs. By developing these apps, CogniFit, helps the user identify what app best suits their needs and makes it accessible anywhere they go. This not only increases usability but it provides an excellent user experience. These apps will be available for Android soon, however, the General Cognitive App is now available in the Google Store. This year has been a great year for CogniFit and next year promises to bring other surprises to users everywhere.